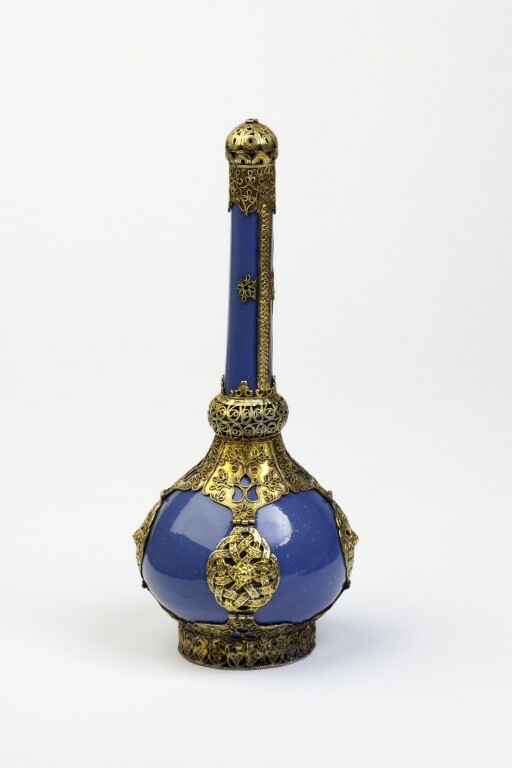 This narrow-necked bottle was used to sprinkle rose water or other scented liquids onto the hands of guests. We know very little about Ottoman glass production before 1800. This is a rare example that survives complete. Bottle in opaque coloured glass with gilt mounts. Glass sprinkler with gilt mounts, Turkey, 1600-1800. 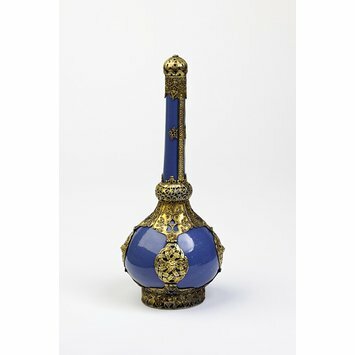 This narrow-necked bottle was used to sprinkle rose water or other scented liquids on to the hands of guests. Very little is known about Ottoman glass production before 1800, and this is a rare example that survives complete.